No sadhana (spiritual practice) can lead to self realisation. No map can take you to where you already are, and no practice can transform you into that which you always have been. All sadhanas such as meditation, mindfulness, mantra, puja, selfless service and devotion – all sadhanas are for the illusory individual. They are an extension of greed/egotism. It is this web of illusion, all hinged upon the idea of being a person with a body and mind, that prevents the obvious from being ‘seen’. Not seeing the truth of what you are, you engage in sadhana. But in doing this you have already taken yourself to be the body-mind. You are not! By the way, I am not saying don’t do spiritual exercises. They can often be calming, positive, wonderful to do and an essential component of the apparent spiritual journey (they can also be a waste of time and even dangerous depending on the practice) – see here for more on how spiritual practices can be helpful. But as long as you take yourself to be an individual, you will simply perpetuate the root illusion and root cause of suffering. This is why Ramana Maharshi, and many others before him, suggest self-enquiry for those unable to assimilate the highest truth directly. Self-enquiry simply means looking to see what you are. When you look, you will see that there is no such thing as an ego-entity that you take yourself to be, but yet you still are. Other methods of sadhana aim to stop thoughts which is the main tool the ego uses to perpetuate itself. This temporarily stops the ego-process and can lead to an experience of no-self, but when the practice is over, the thoughts return, and along with it the imagined ego-illusion and it’s suffering. The memory of this experience of no-self can itself be a huge motivating factor in continuing upon a spiritual path, so these experiences have apparent value. What’s more potent than simply experiencing no-self is if that experience in a seeing or understanding that there never was a self, regardless of whether or not thoughts are present. So no sadhana can take you to where you already are as it perpetuates the illusion of individuality which in turn gives rise to a sense of lack and the need to gain something, when in reality nothing needs to be gained and all is already complete. True sadhana only works if you don’t take yourself to be an individual. Similarly, with self-enquiry, the individual looks and sees they don’t exist. So you could say that sadhana is looking and seeing that you don’t exist, or refusing to believe that you are an individual person. But who is it that sees they don’t exist? What is it that sees no-self? It cannot be put into words really. You could say that nobody sees this, or the ‘real I’ sees this or that ‘awareness’ or ‘consciousness’ sees it. However if you think about it, these are just different ways of saying ‘It is seen’. If you say ‘awareness see the car’, it’s just another way of saying ‘a car is seen’. 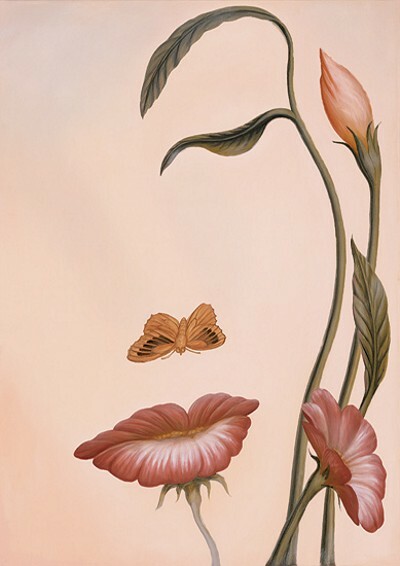 In truth we don’t know what sees, we just know that things are seen/perceived, and the body-mind that we may imagine ourselves to be are also part of that perception. The thought ‘I am the body-mind’ is also part of that perception. There is no control over what is perceived, the idea of control just being a part of that perception. No-self is seen. So this understanding is not some new knowledge. It’s the dropping away of what you thought was real and realising that the idea/sense of separation is actually empty. It is just what is, unfiltered, non-conceptual and real, devoid of conceptual overlay, happening by itself. Either way this can only be seen all-at-once. There are no degrees of realisation. Truly there is no realisation even, for both degrees of realisation and realisation itself are for the imagined body-mind entity. Any realisation or understanding itself dissolves into the One Self. All there is is the play of Consciousness which itself comes and goes in your Being. Even to say this is wrong and far too much! Eventually even concepts of One Self, Consciousness or Being also go, and what you are left with is ‘what is’, beyond the words…it’s all we ever ‘had’ in the first place! Next > Nisargadatta Maharaj: If my real self is peace and love, why is it so restless? So… there is no use in any satsang either. It is just play for the mind, it doesn’t do anything, it just arises, is there for a while and then subsides, like all other experiences. And truly seeing that makes it the most valuable thing, I can see that too. Problem is: I cannot stop myself from “getting this”, and the very getting this perpetuates the illusion, which in turn makes me want to “get this”, and then perpetuates itself. Beautifully and clearly stated. Free of all the clutter. Thank you.